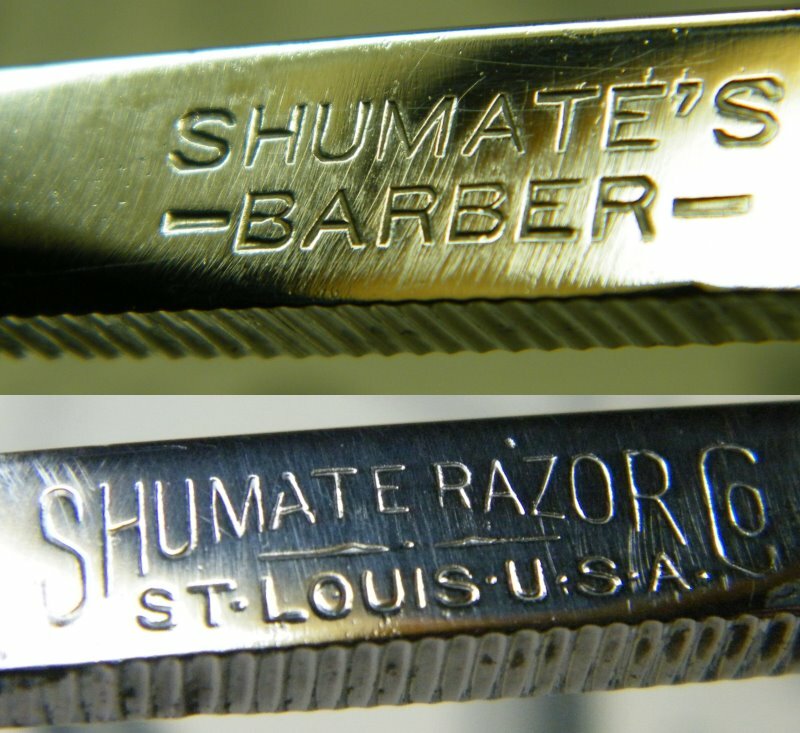 STRAZORS.com - all about classic razors - Shumate's -Barber-, Shumate Razor Co., St.Louis., U.S.A. The trademark "Shumate Razor Co. St.Louis." was used c.1904-1920. Founded in Austin, Texas about 1884 by Albert Teagarden. Joseph Shumate became a partner in 1895, and the name became Teagarden and Shumate. 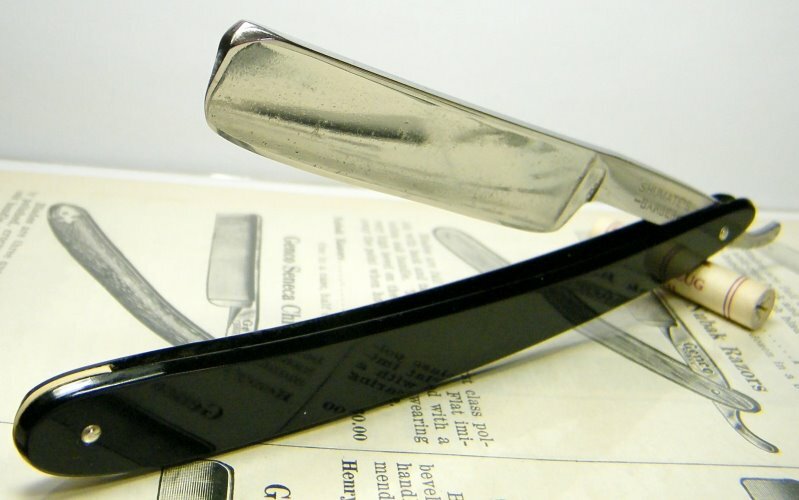 The firm first dealt in cutlery about 1900, and soon changed the name to the Shumate Razor Company. In 1904, Shumate decided to move to St.Louis, Missouri. By 1906, the main office was in St.Louis. In 1919, Fred S. and A.E. Roth became partners in the firm. 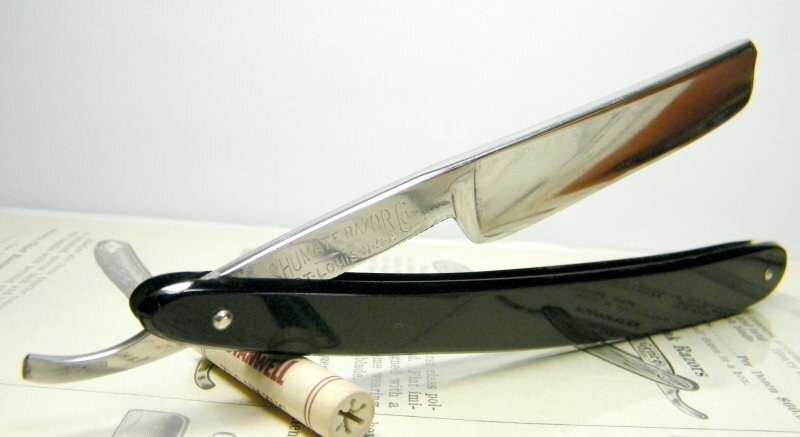 In 1927, they were selling pocket knives marked Shumate, Roth, Aristocrat, Stainless Cutlery Co., and Waldemar. The blade is about 9/16, square point (honed point), full hollow ground.